We have fresh work by our talented artists in our Barbican gallery. Little pretty things which make the perfect present or, there is nothing wrong to treat yourself sometimes, just keep it for yourself. 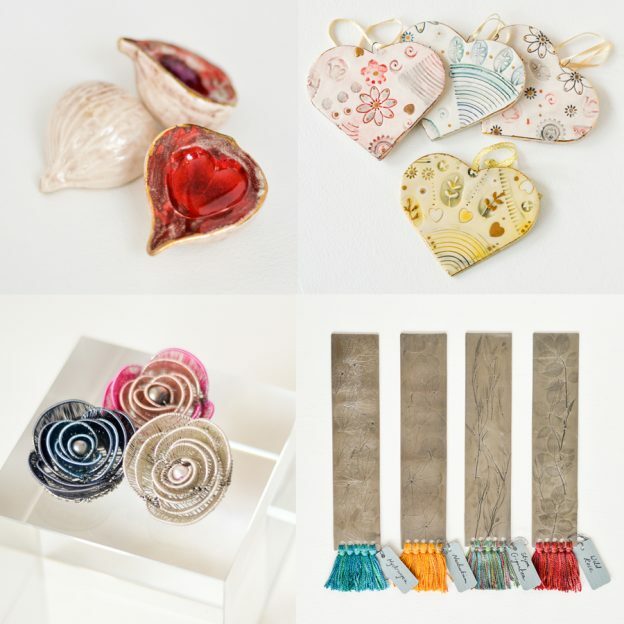 The group image shows Remon Jephcott’s ceramics figs £45, Sarah McCormack’s ceramic hearts £12, Kate Packer’s wire rose brooches £42 and Helen Edward’s pewter bookmarks £32. 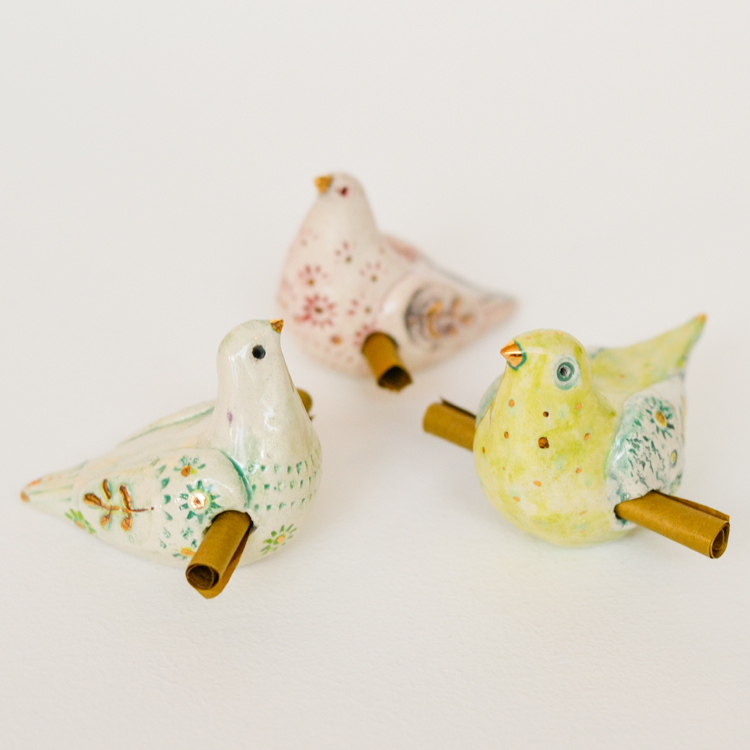 Susan Dare-Williams’ fused glass heart £15 and Sarah McCormack’s ceramic messenger bird with paper scroll £23. 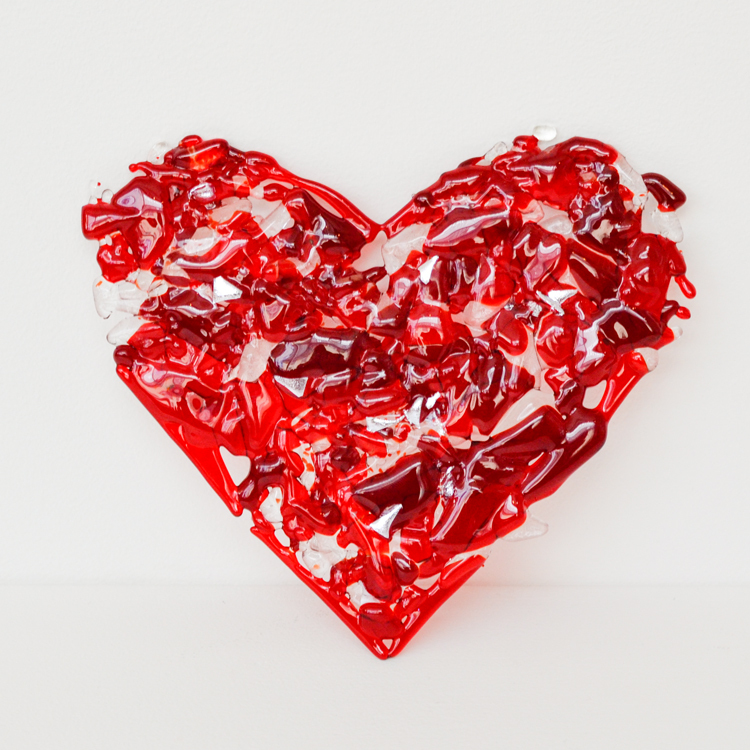 This entry was posted in Ceramics, Gift ideas, Jewellery, Metalwork, New Work, Online Gallery Overview and tagged gift idea on February 10, 2019 by 45 Southside.